There is nothing like timeless accessories. Olive Juice has a particularly good crop of accessories and shoes on sale right now at pretty decent prices. The one that got my heart rate up? The Oeuf crocheted flower necklace on the top row above. I have been waiting and waiting for some retailer, somewhere, anywhere to put this on sale ($48 full price? really?). Olive Juice came through this week and marked it down to $24. If you haven't see this on a child, have a look below. It is really perfection. All of the items above make me think of the word appropriate. Appropriate for little girls. Not too tight, too suggestive, too flashy or rife with product advertisements and pop culture character references. Not covered in jewels and sequence. Just appropriate. And, as these items prove, not boring or stuffy either. That little winter cap with the flower on it ($18.50) is perfect for any little girl who ever loved a fairy tale. The heart caps (just $10) are such a great nod to Valentine's Day. 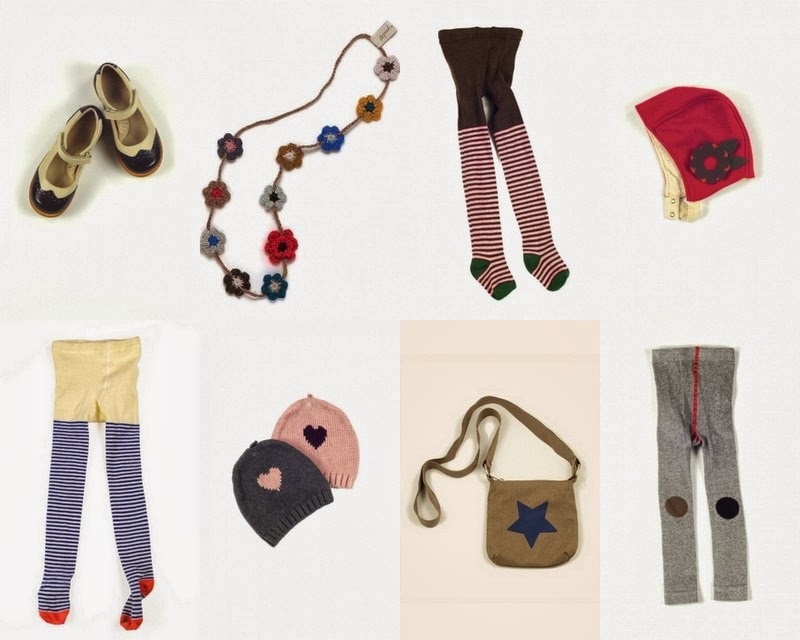 The little star purse ($7.50) is just right for little "found" treasures like stones and lucky pennies. The tights are just plain adorable and the navy/ecru spectator Mary Janes (50% off at $39.50) belong on Little Orphan Annie (maybe my favorites of the items above). Sizes and quantities are all limited, but it is worth browsing.